Dragging and dropping is very important for those who do not wish you use the click facility. This feature is particularly helpful when you need to move the location of a file from one place to the other. Usually, it is simple that way as you need not have to click and drop things to the other side. 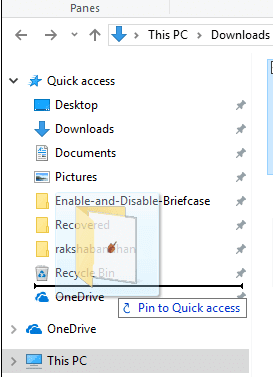 It also helps you to pin an item to the Start menu or the taskbar.Here using the drag and drop technique is way easier than pinning.